Fall break is approaching and will be here before you know it. Still looking for places you and your friends to visit? New Mexico is the place to go; it is beautiful, has fresh dry weather and has many affordable places to visit. If you are looking for more of the mountainous environment, then northern New Mexico is the place to go. Courtney, a student here at SNU, has been in the Albuquerque area for three years now and has some great recommendations. “The Sandia mountains are for sure a fun place to visit. My family and I will ride the tram up and hike back down because that’s easier, but I know people who have hiked up and hiked back down.” A few other things Courtney mentioned were Old Town Albuquerque and the zoo. You might even be able to catch a concert if you are there at the right time! Santa Fe, Farmington and Angel Fire are filled with forest trees and are popular to visit during the winter time. I grew up in southeastern New Mexico in a small town called Lovington, so I am familiar with the attractions that are more hot and desert environment but beautiful as well! Here is a list of scenic views and affordable places to visit more down south. Carlsbad Caverns/ Location Carlsbad, NM: People come from all over the world to visit the Caverns. You can hike down and enjoy a scenic view on the way or take the elevator. You are a couple hundred feet below the ground so it will get chilly; I recommend bringing a sweater. Parking is free, and the cost of tickets is $10.00 per person. 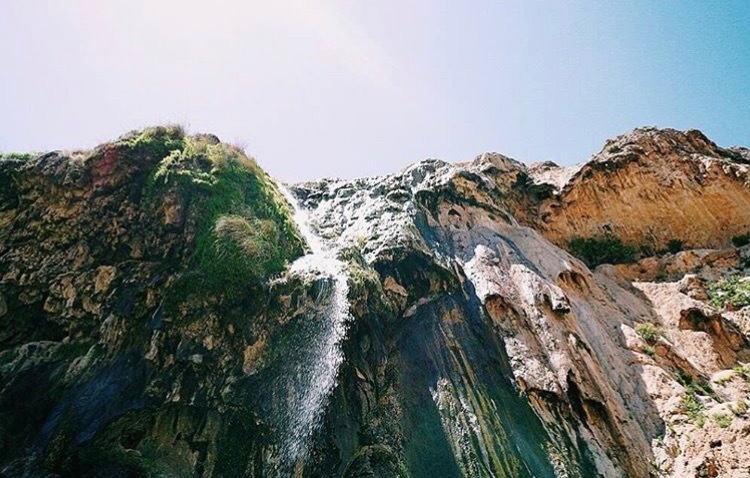 Sitting Bull Falls/ Carlsbad, NM: Starting at only $5.00 for parking, it includes swimming, waterfalls, hiking and a beautiful scenic drive. It is very similar to Turner Falls. White Sands National Monument/ Las Cruces, NM: All the sand is white and can take some time for your eyes to adjust. Here, you are able to buy these round disks to slide down the hills and it is so much fun. It can get very hot; I would recommend bringing lots of water and snacks. The cost of tickets is $10.00 per person. Ruidoso, NM: Wrapping up my list is Ruidoso; it Is located in the Sierra Blanca Mountains. The drive from Oklahoma to here would be around eight hours. If you are more of the outdoor person, then Ruidoso is perfect for you. It is filled with forest trees, downtown shopping, fishing, hiking, camping etc. One thing that Courtney mentioned before closing up our interview was, “New Mexico is the most beautiful state, and it is so underrated.” Well said Courtney. There are so many more places and things to do in the beautiful Land of Enchantment. Go explore what New Mexico has to offer and have the time of your life.